In search of the Holy Grail of utility risk management. Richard Stavros is executive editor of Public Utilities Fortnightly. Many analysts in the industry say the search for the Holy Grail of risk management is on. 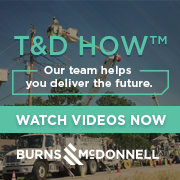 Since their early beginnings, utilities have learned to be exceptionally prepared for the unknown hurricane, storm, or catastrophe that could instantly disrupt delivery of their essential services to customers. On balance, utilities emergency preparedness for the unimaginable natural disaster has been exceptional throughout the years; one only need recall Southern Co.’s or Entergy’s response to Hurricane Katrina. But where some utilities have excelled at managing the physical risks of their business, those very same utilities have often been ill prepared to manage the various operational, financial, and other business calamaties. How often have utilities filed quarterly reports to the Securities and Exchange Commission explaining the utility lost millions due to unexpected weather, unexpected changes in demand, unexpected changes in the price of a commodity, or due to the unexpected outage of a base-load power plant? Furthermore, how often have regulators had to consider a rate increase to cover losses from the utility who failed to anticipate an increase in commodity prices or other risk?